Microfilms from American and British archives (mainly files from the Nazi authorities). Microfilmed source material of the Biographisches Handbuch der deutschsprachigen Emigration nach 1933 (International Biographical Dictionary of Central European Emigrés 1933-1945): documents about 25,000 emigrants, mainly questionnaires, newspaper and periodical clippings. 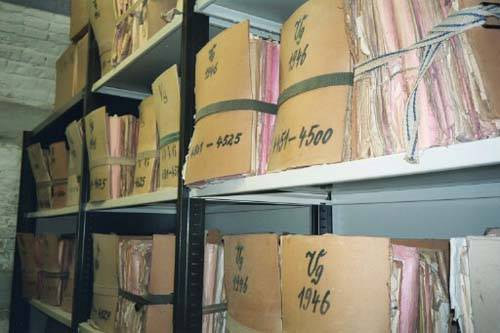 Microfilmed files of the Austrian Volksgerichte (People's Court) since 1945: at this time only the files of the Volksgericht at the Landesgericht in Vienna; usage bound to specific conditions.